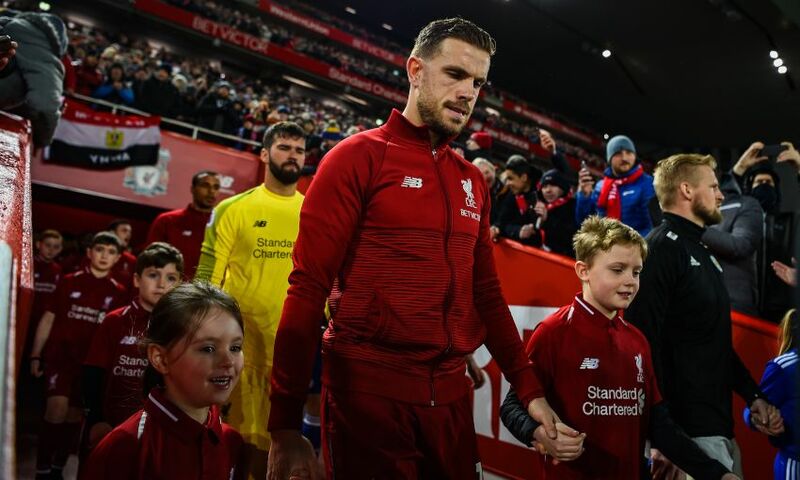 The pressure that comes with the opportunity to battle for a Premier League title has to be enjoyed by Liverpool, according to Jordan Henderson. The Reds are locked in pursuit of English football’s top prize with Manchester City, a single point separating the teams after the 29 games before this weekend’s round of fixtures. Henderson and co were held to goalless stalemates at Manchester United and Everton either side of a 5-0 rout of Watford last week, which allowed City to move top. But the Liverpool captain dismissed any suggestion that the intensity of their mission is affecting the players – in fact, he insisted the situation is one that simply has to be relished. “There’s pressure playing for Liverpool but that’s why you come, that’s what you want, you want to play for the biggest clubs in the world, play in big games and enjoy them,” he told Premier League Productions ahead of Sunday’s clash with Burnley. “That’s what we enjoy as players, I’m sure when we can’t play anymore that’s what we’ll miss. So you’ve got to make the most of it. “We’ve said we want to give everything we can from now until the end of the season. Pressure to win one of the biggest titles in Europe has got to be enjoyable. When you’re fighting relegation and things like that, that’s a different type of pressure. The consistency shown by Jürgen Klopp’s side this term, with still only one defeat suffered in the Premier League, reflects the latest stage of their progress under the German. And while Henderson believes Liverpool have moved up a level from last season, development in itself is not enough to satisfy the England international. “You always want to improve as a team, of course. You always want to get better and better. And I think we have improved since last season,” he added. “But when you get into these situations you want to go and win it, of course. For us as a team, we are in a position where we just want to give everything until the end of the season and hopefully win as many games as we can to win the league. “It’s not easy, it’s tough – the Premier League is hard. Nothing will come easy for us, we know that. We’ve just got to keep going and keep working.